The price of gold is moved by a combination of supply, demand, and investor behavior. That seems simple enough, yet the way those factors work together is sometimes counterintuitive. For instance, many investors think of gold as an inflation hedge. That has some common-sense plausibility, as paper money loses value as more is printed, while the supply of gold is relatively constant. As it happens, mining doesn’t add much year to year. Two economists, Claude B. Erb, of the National Bureau of Economic Research, and Campbell Harvey, a professor at Duke University’s Fuqua School of Business, have studied the price of gold in relation to several factors. It turns out that gold doesn’t correlate well to inflation. That is, when inflation rises, it doesn’t mean that gold is necessarily a good bet. So, if inflation isn’t driving the price, is fear? Certainly, during times of economic crisis investors flock to gold. When the Great Recession hit, gold prices rose. But gold was already rising until the beginning of 2008, nearing $1,000 an ounce before falling under $800 and then bouncing back and rising as the stock market bottomed out. That said, gold prices kept rising even as the economy recovered. The price of gold peaked in 2011 at $1,921, and has been on a slide ever since. It now trades around $1,300 (as of end-April 2018). In their paper, titled The Golden Dilemma, Erb and Harvey note that gold has positive price elasticity. That essentially means that, as more people buy gold, the price goes up, in line with demand. It also means there isn’t any underlying ‘fundamental’ to the price of gold. If investors start flocking to gold, the price rises no matter what the monetary policy might be. That doesn’t mean that this is completely random or the result of herd behavior. There are forces that affect the supply of gold in the wider market – and gold is a worldwide commodity market, like oil or coffee. Unlike oil or coffee, however, gold isn’t consumed. Almost all the gold ever mined is still around. There is some industrial use for gold, but that hasn’t increased demand as much as jewelry or investment. The World Gold Council’s 2017 figures show that total demand was 4,071 tons, with only 332.8 tons going to the tech sector. The rest was investment, at 371.4 tons, jewelry, at 2,135.5 tons, bar and coin demand of 1,029.2 tons, and ETFs et al, at 202.8 tons. Back in 2001, when gold prices were nearing all-time lows (at least since ownership of bullion was re-legalized in the 70s), jewelry accounted for 3,009 tons, while investment was at 357 tons, and tech required 363 tons of gold. If anything, one would expect the price of gold to drop over time, since there is more and more of it around. So, why doesn’t it? Aside from the number of people who might want to buy it constantly on the rise, the jewelry and investment demand offer some clues. As Peter Hug, director of global trading at Kitco, said, “It ends up in a drawer someplace.” The jewelry is effectively taken off the market for years at a time. Even though in countries like India and China gold can act as a store of value, the people who buy it there don’t regularly trade it; few pay for a washing machine by handing over a gold bracelet. Jewelry demand tends to rise and fall with the price of gold. When prices are high, the demand for jewelery falls relative to investor demand. Hug says the big market movers are often central banks. In times when foreign exchange reserves are large, and the economy is humming along, a central bank will actually want to reduce the amount of gold it holds. That’s because the gold is a dead asset – unlike bonds, or even money in a deposit account, it generates no return. The problem for central banks is that this is precisely when the other investors out there aren’t that interested in gold. Thus, a central bank is always on the wrong side of the trade, even though selling that gold is precisely what the bank is supposed to do. As a result, the price of gold falls. Central banks have since tried to manage their gold sales in a cartel-like fashion, to avoid disrupting the market too much. Something called the Washington Agreement essentially states that the banks won’t sell more than 400 metric tons in a year. It’s not binding, as it’s not a treaty; rather, it’s more of a gentleman’s agreement – but one that is in the interests of central banks, since unloading too much gold on the market at once would negatively affect their portfolios. One exception is China. The Chinese central bank has been a net buyer of gold, and that could be putting some upward pressure on the price. The price of gold has still fallen, though, so even Chinese buying has at most slowed the decline. 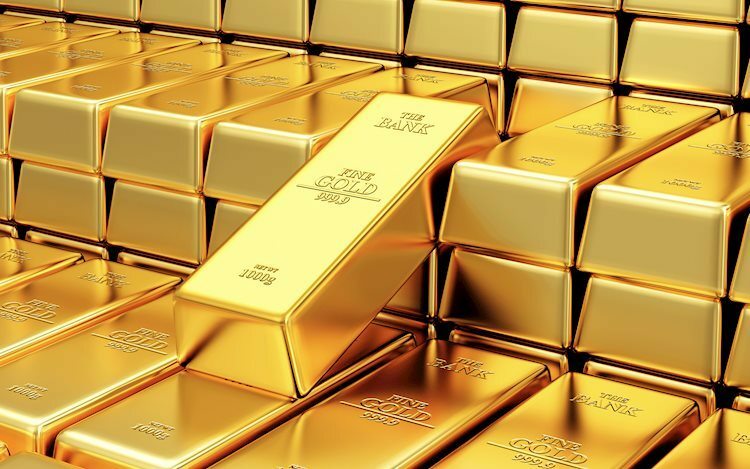 Besides central banks, exchange traded funds (ETFs) – such as the SPDR Gold Shares (GLD) and iShares Gold Trust (IAU), which allow investors to buy into gold without buying mining stocks – are now major gold buyers and sellers. Both offer shares in bullion, and measure their holdings in ounces of gold. The SPDR ETF currently holds approximately 9,600 ounces, while the iShares ETF has some 5,300. Still, these ETFs are designed to reflect the price of gold, not move it. Speaking of portfolios, Hug said a good question for investors is what the rationale for buying gold is. As a hedge against inflation, it doesn’t work well, but seen as a piece of a portfolio, it’s a reasonable diversifier. It’s simply important to recognize what it can and cannot do. In real terms, gold prices topped out in 1980, when the price of the metal hit nearly $2,000 per ounce (in 2014 dollars). Anyone who bought gold then has been losing money since. On the other hand, the investors who bought it in 1983 or 2005 would be happy selling now, even with recent price drops. It’s also worth noting that the ‘rules’ of portfolio management apply to gold as well. The total number of gold ounces one holds should fluctuate with the price. If one wants 2% of the portfolio in gold, then it’s necessary to sell when the price goes up and buy when it falls. Assuming $1,600 per ounce, a Roman soldier got the equivalent of $3,704 per year, while a U.S. Army private in 2011 got $17,611. So a U.S. Army private gets about 11 ounces of gold (at current prices). That’s an investment growth rate of about 0.08% over approximately 2,000 years. If you’re looking at gold prices, it’s probably a good idea to look at how well the economies of certain countries are doing. As economic conditions worsen, the price will (usually) rise. Gold is a commodity that isn’t tied to anything else; in small doses, it makes a good diversifying element for a portfolio.